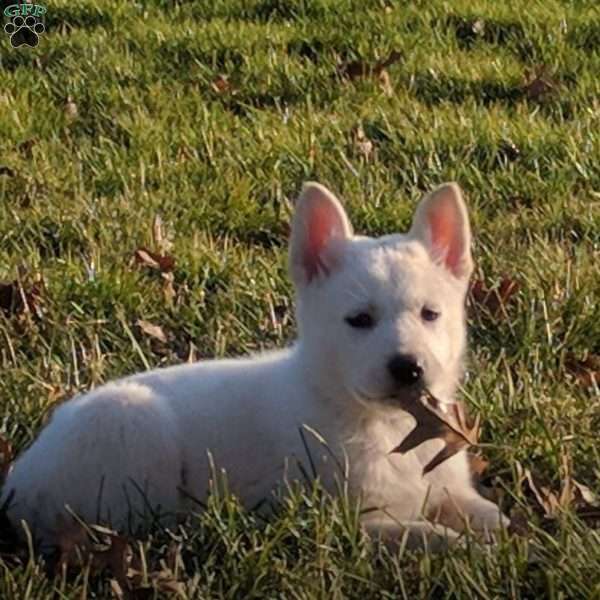 Say hello to Lady, a beautiful White German Shepherd puppy with a nice build. 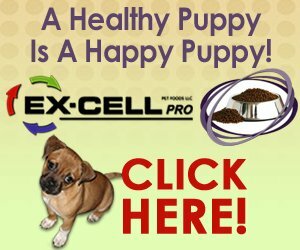 This happy pup is up to date on shots and wormer, can be registered with the AKC and comes with a health guarantee provided by the breeder. Lady is family raised with children and would make a great addition to anyone’s family. 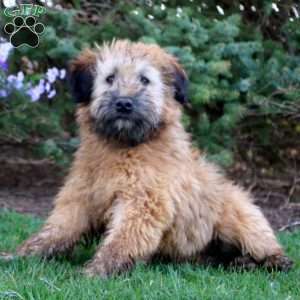 To find out more about this great pup, please contact Leil today! Gentle Natured Well-Mannered Puppies raised with children. Parents are both well-mannered and gentle natured as well. Great Family dogs. Leil Ehst is a breeder located in Palm, Pa who currently has a cute litter of German Shepherd puppies. These darling pups are up to date on shots and wormer, can be registered with the AKC and come with a health guarantee provided by the breeder. To find out more about these sweet pups, please contact Leil today!